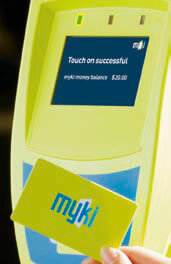 A team of 14 advisers from global consulting firm Ernst & Young have been called in to fix Melbourne, Australia’s maligned Myki smart card transit system, according to theage.au.com. The team is charged with providing the government with “vigorous” analysis of all the ways in which the $1.35 billion system is malfunctioning. So far the system is working on only a handful of regional buses and Melbourne’s trains, says The Age.